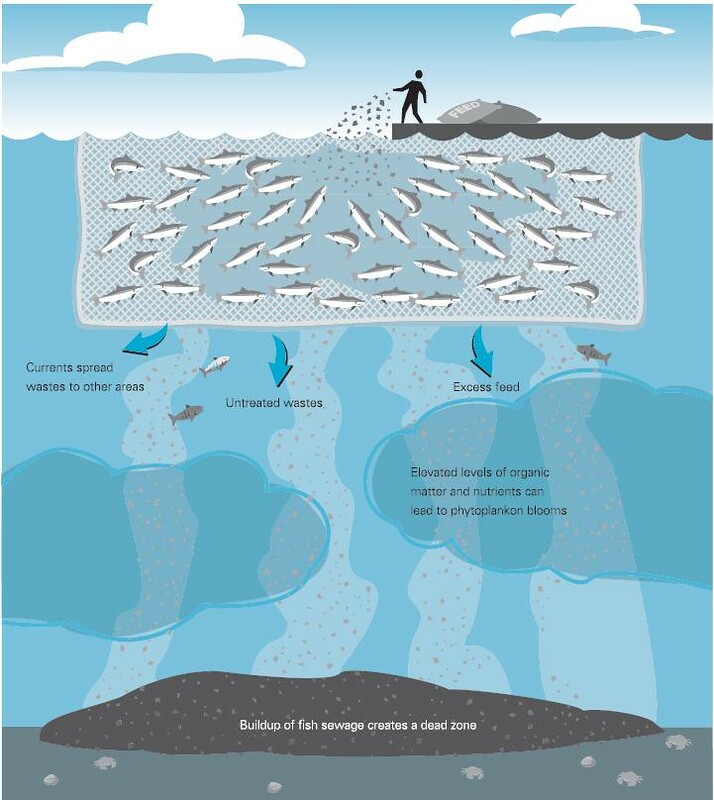 Stop the Fish Farm Faeces Dump! The Tasmanian Government currently places no limit on the amount of faeces big salmon farming companies can dump in our coastal waters. This might have been bearable when the industry was small, but it is expanding at break-neck speed. Environment Tasmania estimates big salmon companies currently dump 2.1 million kilograms of nitrogen pollution in Tasmania's coastal waters every year. Not only does the Government fail to put a limit on the amount of pollution the industry can dump - they also let them dump in coastal bays and harbours, where the water is too shallow and current too weak to flush out this amount of pollution. The Marine Farming Review Panel is currently reviewing big salmon's plans to expand into another sheltered bay - this time on our stunning Sapphire Coast. Send a message to the Review Panel and tell them there should be no intensive salmon farming allowed in sheltered bays that can't bear the tonnes of pollution salmon farming dumps in our coastal waters. I am writing to express my concern about Tassal's plans to farm 800,000 salmon at Okehampton Bay. With respect to Terms of Reference, no, I do not believe the environmental science or the current Marine Plan for the Bay is sufficient to support a contemporary environmental management regime. The Plan is 20 years old. It needs to be reviewed urgently before any farming goes ahead at Okehampton Bay. The science which the Plan fails to reflect shows that farming in bays and harbours like Okehampton Bay - which are shallow and do not flush, creates environmental harm. The science also shows that 17 degrees celsius is the maximum temperature for farming salmon before sub-lethal stresses occur. Okehampton Bay has maximum temperatures of around 23.5 degrees - it is too warm for farming salmon sustainably. And because the current is weak and the water is shallow in the Bay, pollution from salmon farming will build-up under pens and enter the water column, increasing the risk of toxic algal blooms already experienced at the site. There should be no salmon farming allowed in coastal bays and harbours and there needs to be a limit on the amount of waste salmon farms can dump in our coastal waters. The public submission period for this Review was also much too short, and I am worried about Tassal's comments that they will proceed with farming at Okehampton Bay regardless of what the Review Panel decides. That figure is a massive lie and more than total world fin fish emissions! How can you post that on your webpage ET? Even worse is that people believe this! It is a simple calculation based on production, Tasmania only produces 25,000t per year of salmon…..what a shonky organisation you are and it is unfair what you are doing to an industry that supports the state. Stop the lies and work with this industry if you want to make a change! If there is any hint of wilful negligence on the part of the Review Panel = crime against nature = Panel Members AND their families compulsory living, working, schooling in the areas until fixed + 6 months to make sure : simple, really. This totally lack of care for our environment really pisses me off. I have a tendency to vote with my feet and wallet. Once I stop with a product I never buy it again ie John Wests.